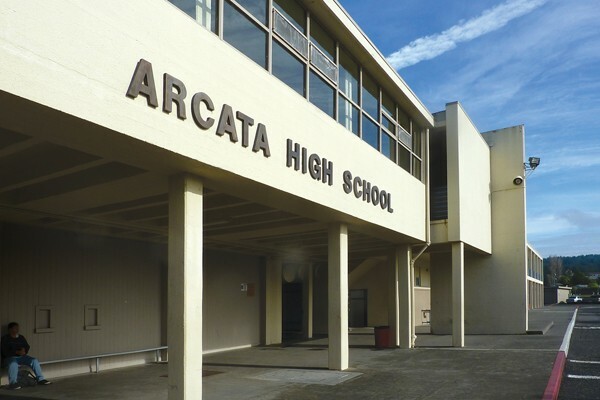 Police investigated a suspicious note found on the Arcata High School Campus yesterday that contained a “threat of violence” but determined it not to be credible. According to an Arcata Police Department press release issued this evening, the note threatened that the unspecified violent act would be carried out tomorrow, May 24. Police and the school district conducted a joint investigation and determined the threat not to be credible, but the release notes APD will work with the district to “ensure the safety of everyone at school” and will provide an increased police presence on and around campus. On 5/22/18, the Arcata Police Department was notified by the Arcata High School that a suspicious note had been discovered on campus. The note contained a threat of violence that would occur on May 24th. The Arcata Police Department and the school district conducted a joint investigation and determined the threat was not credible. The APD will continue to work with district administrators and staff to ensure the safety of everyone at the school and will provide an increased presence at, and around the campus. The Arcata Police Department takes all threats of violence against our schools very seriously. Remember, if you see something, say something.